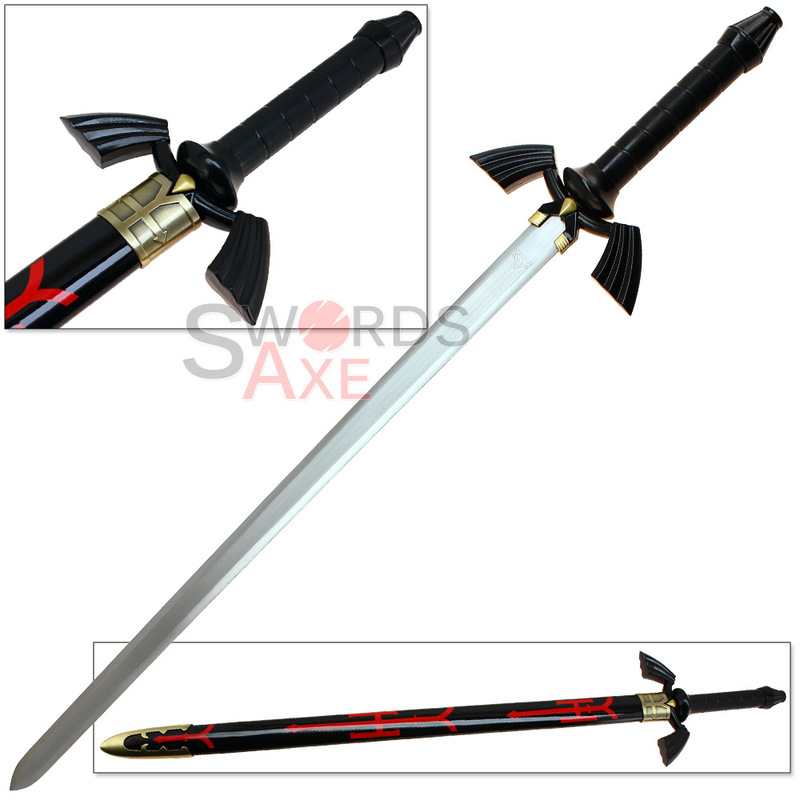 The highest quality has been applied to make one of the most resounding Legend of Zelda swords ever made! Dark Link, the absolute ultimate nemesis, Link himself, but only evil and with the intention of stopping the good Link from completing his quest. In some ways, Dark Link is actually a battle Link has with himself, but in the game he actually must fight this evil version to continue. 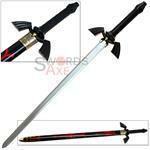 This carbon steel replica has been furnished completely with the best quality available and to the highest standards. The blade is left unsharpened and has the Triforce emblem engraved into the blade's metal on both sides. The coloring used is like a midnight black, but almost feels like there is a blueish hint in there, nearly indescribably black, but not perfect black. Perhaps this is the rendition of Dark Link, being link, but indescribably not Link. Red painted patterns decorate the scabbard in the same design as the good Link's sword, just a different color. 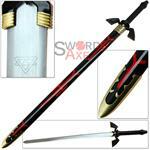 The scabbard also features all metal fittings which have anodized patina brass finish.